FEB. 13: FanRag’s Jon Heyman tweets that Wood is expected to make a decision on his new team in the very near future — possibly as soon as today. FEB. 12: The Cubs have made contract offers to Travis Wood, FOX Sports’ Ken Rosenthal reports (Twitter links), though the Padres and two other teams are also still in the mix for the free agent lefty. The Yankees aren’t one of the other teams; New York reportedly checked in on Wood recently, though the Yankees weren’t considered to be top candidates for his services. Wood’s market has begun to generate more buzz in recent days, though the veteran southpaw has seen his name pop up in rumors for much of the winter. Besides the Yankees, Padres and Cubs, the Marlins and Blue Jays were also linked to Wood at different times this offseason, and either of those clubs still makes sense as one or both of the mystery teams pursuing the left-hander (though Miami has made a number of other pitching additions). Wood’s history as a starter has drawn interest from multiple teams looking at him as rotation help, with the Padres included in that list. The Cubs would be looking to use Wood as a swingman, while it isn’t known what role the other two suitors intend Wood to fill. For the first five seasons of his big league career, Wood was a durable and mostly effective starter for the Reds and Cubs before transitioning into a relief role for Chicago during the 2015 season. He posted tremendous numbers as a reliever in 2015 and continued to get good results last year, posting a 2.95 ERA, 6.9 K/9 and 1.96 K/BB rate over 61 bullpen innings. Thanks to such factors as his low strikeout rate and a .215 BABIP, however, advanced metrics (4.54 FIP, 4.83 xFIP, 4.46 SIERA) painted a less-impressive picture of Wood’s season. Looking at the Cubs’ left-handed options, Mike Montgomery and Brett Anderson are vying for the fifth spot in the rotation, with Brian Duensing and Rob Zastryzny in line for potential bullpen jobs with the loser of the fifth starter battle. The Cubs could feel more comfortable with a familiar face like Wood in a swingman or spot starter role rather than relying on several other more inexperienced depth options (Zastryzny, Eddie Butler, Alec Mills, Ryan Williams). Lol they are done. They said they wanted to add one more guy for $3M and that was Joe. Unless his market has fallen to minor league depth, Jays are out. He’d make for a nice long reliever or 2nd lefty specialist out of the pen for the Jays. I doubt it happens though since he wants to start. Not sure how much the Jays have to spend, but Google says that Viagra sells for $300 for a pack of ten, which is a close call for a mid-market team. Rays and A’s will probably have to settle for gas station PEDs. They said earlier in the offseason that payroll was increased to $165M, not sure what the current commitments are atm. You have to wonder what he values more, bring a starter in a paradise city, or being a reliever / spot starter as part of a potential dynasty. I’d also be interested to know the difference in dollars and years being discussed. I’d be happy to see him back with the Cubs but I’m sure he’d take the opportunity to be a full time starter. Haha dynasty? Wow they get the 100 year old chip off their shoulder and now they’re talking dynasty. Wood has said his preference is to start, so the team that is able to give him an opportunity to start is probably going to sign him. The Padres are not likely to make any moves until they can clear roster spots. That happens on Tuesday or Wednesday when camp officially opens. I hope that he decides to sign with us because it would give us 4 veterans with at least 3 of them being nice trade pieces if they get off to a good start. Why would he go to the Cardinals? If he’s fine being a pen arm he’s going back to the Cubs. If he wants to start he’s going somewhere with a guaranteed rotation spot. The Cardinals do not fit that whatsoever. Let’s see………C-Mart, Waino, Reyes, Lynn, Leake, Weaver, and Wacha possibly…..that’s 7 starters vying for a rotation spot (although Wacha should stay in the BP as a long reliever). Why would they need to add a guy like Wood? He’s never been a great starter…..better in the pen. Cards have 9 people in line to start before wood, Martinez, waino, leake, wacha, Lynn, weaver, Reyes, rosenthal, and John gant. Not to mention Marco Gonzales started throwing off the mound recently. So no not much chance for wood to start…. Wow. What happened to Wacha? A bit on Wood from a Cubs perspective. He only makes sense as an insurance policy. If someone gets hurt in camp, Wood is a very wise investment. If everyone remains healthy, Brian Duensing or Caleb Smith (Rule 5 guy) would likely have to go away. Wood or no, Zastryzny should be a starter in Iowa in April. He needs innings. The Cubs would rather he be in the minors where he can go five or six per, without cramping the bullpen. It should come down to a specific dollar figure the Cubs are willing to invest in a very reliable insurance policy. All pitchers are injury risks. However, I don’t want Caleb Smith run through waivers to have Wood and Duensing in the bullpen. Really torn. Until I hear the signing cost. I don’t know much on Caleb smith. You like him more than wood? I just like wood because we know what we are getting with him. Wood is one year, making an unknown amount. Smith would be a future play. He might be rubbish. Or, he might be with the team in 2020. He fits the typical Cubs pitcher. Works quickly. Throws strikes. Changes speeds. Fields his position. White Sox should sign him as a replacement starter for Quintana assuming they plan to trade Quintana. Wood could also DH against lefthanders. Come on Hahn!!! I think they would of traded him by now if he was going to be traded. 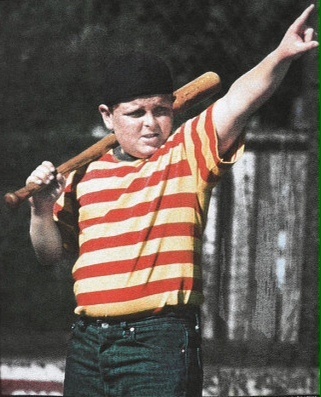 General comment on pitchers who can actually hit…. For a sport that loves to seek market inefficiencies, I have no idea why NL teams don’t put more of a premium on pitchers who can hit. Just prioritize and cherrypick starters who can hit and suddenly you’re an AL team playing in the NL. HUGE advantage. Suddenly, you have a few extra pinch hitters on your bench and can carry an extra reliever. HUGE advantage. Wood makes a lot of sense to land in Texas. He can replace Diekman, who is also a lefty, and out for half the season, out of the bullpen. Or, compete, and have a high chance of winning out their 5th starting spot in the rotation. Win/win for either scenario. Yeah Texas has a rough rotation outside of the top two, if he wants to start he’s probably a lock at the back end. I think he is best suited for an NL team in swing man or long relief spot. His numbers (ERA and WHIP) climbed when he was a starter back in 2014 signaling he isn’t reliable late in the year as a starter. The problem then becomes cost…at roughly $6.5-7 million per year, most NL teams are not keen on spending that much on a bullpen guy for more than 1 or 2 years. Unfortunately the teams that really need him (Rockies, Braves, Milwaukee) won’t spend the $$. Very interesting development concerning the Cubs. This would actually be an excellent acquisition, unlike those recent “garbage” pick ups that were only adding insurance at AAA with far less likelihood of helping the parent club anytime soon. Re-signing Wood as a competent bullpen swing-man and spot starter is smart. It also should solidify the backend of the Cubs bullpen with Mike Montgomery more likely to be their late inning lefty setup man where he belongs. If Brett Anderson breaks down as the Cubs 5th starter they will have one more option in Wood to possibly assume his role, at least as a bridge until a more formidable starting pitcher might be acquired later this summer. Btw-It’s also possible that Wood could be a fit on the South Side with the White Sox as the proverbial “mystery team”. They recently freed up a spot on their 40-man roster with the outright of C Kevan Johnson and Wood could be a valuable fit there, perhaps as a temporary option for their rotation in case Jose Quintana gets dealt this spring and as a “flip” candidate himself as the summer trade deadline approaches. The White Sox should only be interested if Wood can be signed to a deal of two years or less, preferably with only 2017 guaranteed. Wood would likely only be interested in the White Sox if they offered him a legitimate chance to be a starting pitcher.